Digital advertising accelerates qualified traffic to your website. Let’s create the most cost-effective and successful ad campaigns and drive conversions. 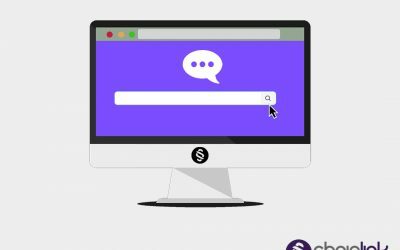 Pay Per Click (PPC) can be one of the fastest and most effective ways to increase qualified potential customers to your website or ecommerce store. Chainlink can help by creating highly-targeted segments based on who people are (demographics), what they are interested in (psychographics), or past behaviors with your site (retargeting and remarketing). 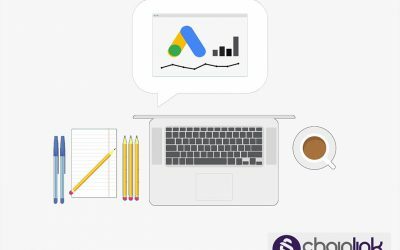 Instead of aimlessly piecing together a strategy, Chainlink Relationship Marketing’s team can help you execute a cohesive and successful Pay Per Click (PPC) advertising campaign through Google AdWords. Before getting started, we always conduct a comprehensive audit of your current paid media efforts, analyze your competition, and research to identify the best keywords to target. 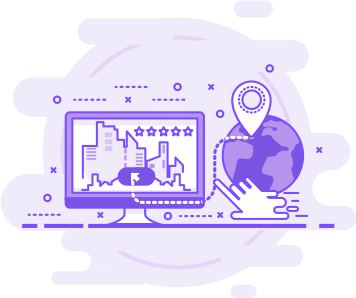 Chainlink will assist in determining your ad campaign’s cost per click (CPC), expected conversion rate, and predicted volume for the campaign. Using that knowledge we can create, implement, and optimize your ad campaigns within your set budget. 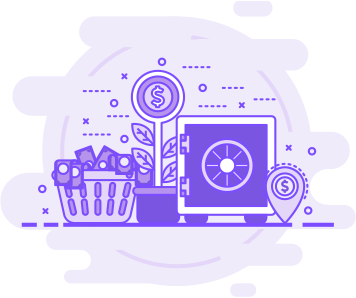 Chainlink will devise a realistic and efficient PPC marketing plan that produces real results. Strategic search ads allow your website to appear before organic Google search results. Allow Chainlink to manage your Google Search Ads campaign to take the guesswork out of setting and maximizing your daily budget. Our conversions-focused approach ensures that you’re targeting the perfect keywords for your prospective customers. You can write the ad yourself or our team can craft it for you. We can create custom URLs for each type of your search ads to see which are performing best. We can also create and A/B test each corresponding landing page for your search ads to determine the best design for driving the most conversions. With our experts managing your campaign, you can rest assured that you’re getting the most out of your advertising dollars. Our team of experts can help you create and design responsive display ads that embody the selling points of your premier products with the right images and messaging to capture your target audience’s attention. Chainlink will customize your ad to match the goals of your advertising effort, whether it be brand awareness, event or product promotion or lead generation. Chainlink can set the target audience and the ideal times for ads to appear. You can choose whether you want to send traffic to your website’s home page, or a personalized landing page specifically created for the campaign. Our specialists will track and report on all interactions with the ads. We always closely monitor and report on your key performance indicators so we can improve your results as the campaign evolves. Sometimes all your target customer needs is a perfectly placed reminder of you at the right moment to make a purchase. By targeting your in-market audiences, we can help you reach these potential customers while they’re actively browsing the types of products you sell. Using hyper-personalized segmentation, our team can help you find your targets that are most interested in what you have to offer based on their demonstrated buyer’s intent. Chainlink narrows down the ideal demographic of your target audience based on gender, age, household income and job type. Our team can help you place ads specifically based on geographic location/region. We investigate your targets’ preferences to create custom affinity audiences within your niche to increase your chances of converting prospects. Our mission is to maximize your ability to get your offer in front of the right people at the right time. Video can be one of the most engaging forms of content to promote your business, and you want to make sure you’re fully optimizing it. After in-depth video keyword research, we’ll help you decide how much to spend and who to target to get the most views. Based on our demographic, geographic and behavioral research of your target audience, Chainlink makes sure your targets see the video at the perfect moment. We can even help you reach targets on YouTube when their buying behavior shifts due to factors such as events and milestones. We’ll stay on top of the analytics to help you understand who’s watching and interacting with your video ads to track the progress of your campaign. Using the data we collect, we can strategize video remarketing efforts to improve your likelihood of conversions in the future. We’ll adjust your video advertising strategy based on the success of your campaign and frequently check in with you about your budget and ROI. With so many of your targets using primarily mobile devices, it’s critical to have a strategy for mobile ads. In the same manner Chainapproachesoachs desktop ad campaigns, our team of experts research to determine the ideal target demographic for your mobile ads and ensure the responsiveness of your ads’ content and design. Tailor your content to fit a smaller screen’s requirements and confirm that your mobile ads properly link to a mobile-friendly site. Our team can build mobile-friendly landing pages that drive your targets to take action while ensuring advanced tracking capabilities are in place. By providing mobile targets the same high-quality ad experience, you’ll significantly improve conversion rates from users on these devices. Chainlink’s team will maximize your mobile ad budget to drive the highest possible ROI. No matter your advertising agenda, retargeting (sometimes referred to as remarketing) is the ideal way to capitalize on re-capturing the attention of warm leads and repeat buyers. Targets who have previously expressed interest in your product or service are the ideal candidates to convert to customers. Retargeting display ads that appear when your targets visit other sites can catch them at the perfect moment and drive them to make a purchase. We identify users who have spent time on your website but did not follow through to conversions. Whether they abandoned their carts or signed up for a newsletter and did nothing else, we can help you re-engage with them in a natural, personalized way. 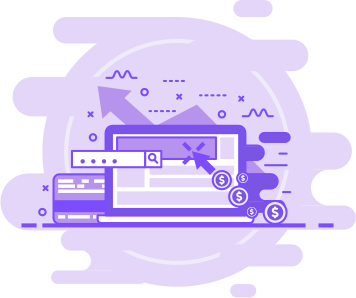 Our mission is to help you get the highest click-through-rates for your ads and increase conversions with every online advertising dollar you spend. We tailor our retargeting strategy to your specific audience to achieve the right amount of repeated exposure. Personalized custom landing pages produce better response rates and convert more targets into customers. When landing pages are built specifically for an exclusive offer, targets are more likely to take action. With landing page messaging customized to the individual profiles of your targets, you can increase the conversion rate of your ad campaign significantly. Chainlink makes it easy to create these fully customized landing pages that increase the ROI of your efforts. Increase the revenue you can produce per user and maximize your advertising budget. Through our data-backed research, Chainlink will help build optimized landing pages for your targets based on users’ interactions with your ads and landing pages. We have an ongoing process of testing and optimization to refine your landing pages as your strategy evolves. Striking the balance between automated PPC bidding and manual bidding can be a challenge. 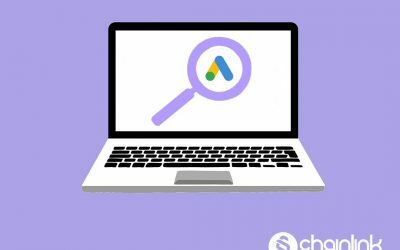 In this post, we point out 3 major Google Ads automation mistakes to avoid. Every Google Ads campaign requires a strategic budget that depends on the goals of that particular advertising effort. This post helps you figure it out. Ready to Get the Most From Your Digital Advertising Spend?